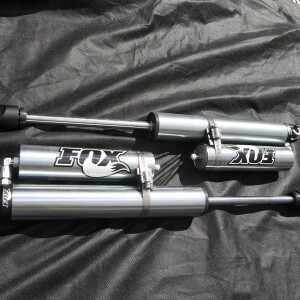 After tens of thousands of miles of off-road testing we are extremely proud to offer GoWesty exclusive FOX shocks, manufactured in the USA by the one and only, world-renowned Fox Racing, Inc.
• Long Travel/Adjustable Dampening: Front ride height adjustable, front remote reservoirs, 8-position compression setting adjustability front and rear, with 1″ more down travel (as shown above). • Front height adjustment via adjustable lower spring perch – To be used with zero lift, stock height springs only! SKU: N/A. 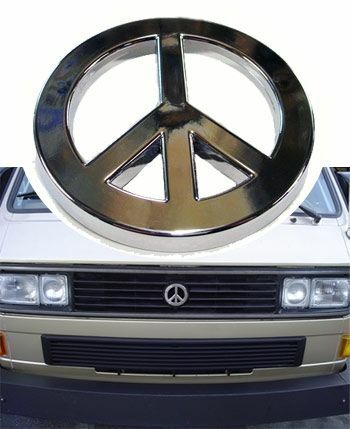 Categories: Gowesty, Suspension, Syncro Specific Parts. 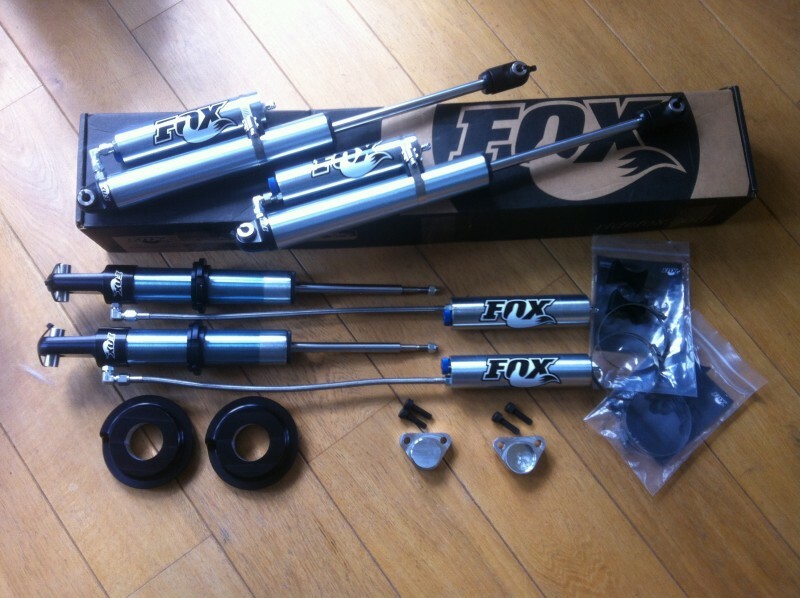 Tags: 4wd, damper, dampers, fox, lift, shock absorbers, shocks, suspension, Syncro. 1. As the name implies, compression dampening is set at the factory and not adjustable. We selected a compression dampening setting equivalent to the #4 setting on our adjustable kit (right in the middle of the adjustable range), as this is the optimum “all around” dampening for most Syncros. The rebound dampening is the same. 3. The total shock travel is the same as the original design—they do not feature the additional 1″ of down travel that the adjustable shock offers. 4. The kit price is £580 less. 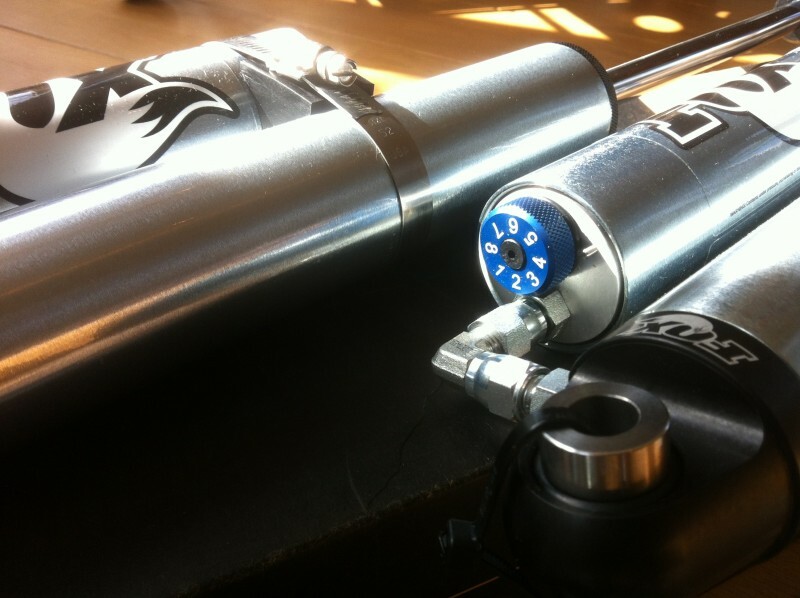 The long travel, 8-position, compression dampening adjustable kit features adjustable fluid reservoirs front and rear. From a full Westy to a light-weight hard-top, you can choose the compression damping that suits your vehicle and the terrain you’re traveling upon. With eight (eight!) damping options on tap you can finally dial in your ride like never before. The level of stiffness you feel between one shock and the next is almost entirely a function of compression dampening. 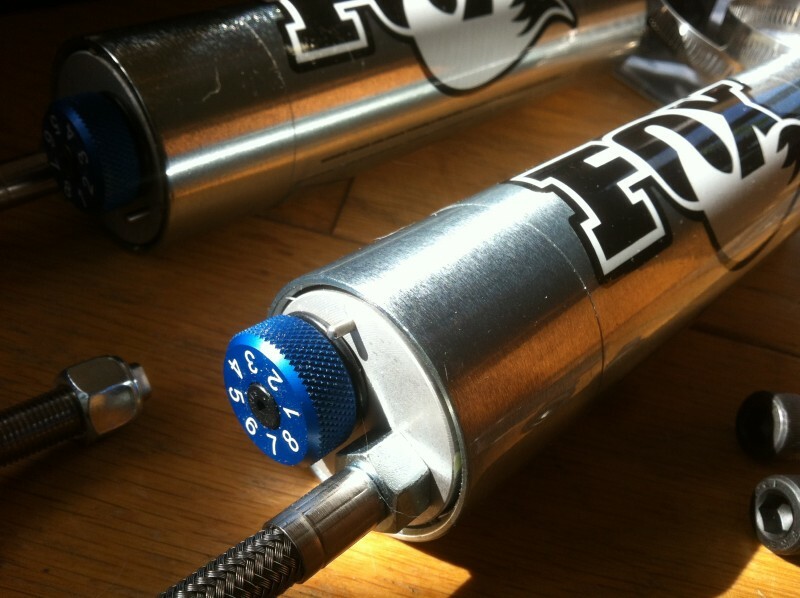 Fox shocks are fully adjustable in that regard! 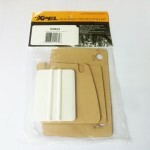 In the softest position, they will feel about as firm as the original German Boge shocks. At the firmest setting, they feel about the same as Old Man Emu’s. So what will it be? Soft like a marshmallow or on rails like a slot car? Don’t settle, have ’em both and everything in between! No mattter what you want them to feel like, what they’ll do better than the original Boge or Old Man Emu shocks is control the ride via much, much greater rebound dampening—which is the resistance that a shock absorber provides after a bump is hit and the suspension compresses. No other shock available for the Syncro comes close to matching what this GoWesty Fox shock can do… it is simply unmatched! 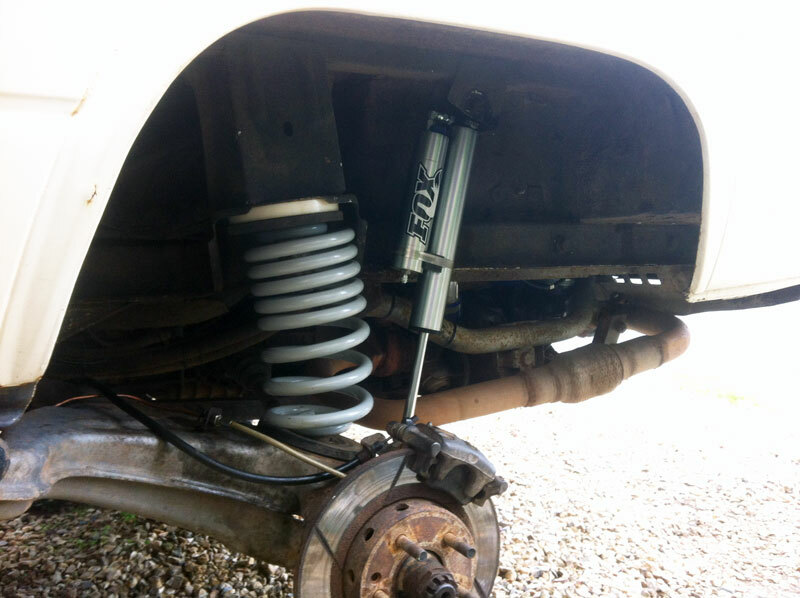 These GoWesty exclusive shocks are a direct fit on any Syncro with either stock springs, GoWesty lifting springs, or any aftermarket spring of a design and dimension similar to an OEM spring (see fitment note #2 for more info). The same thing is true for trailing and control arms. 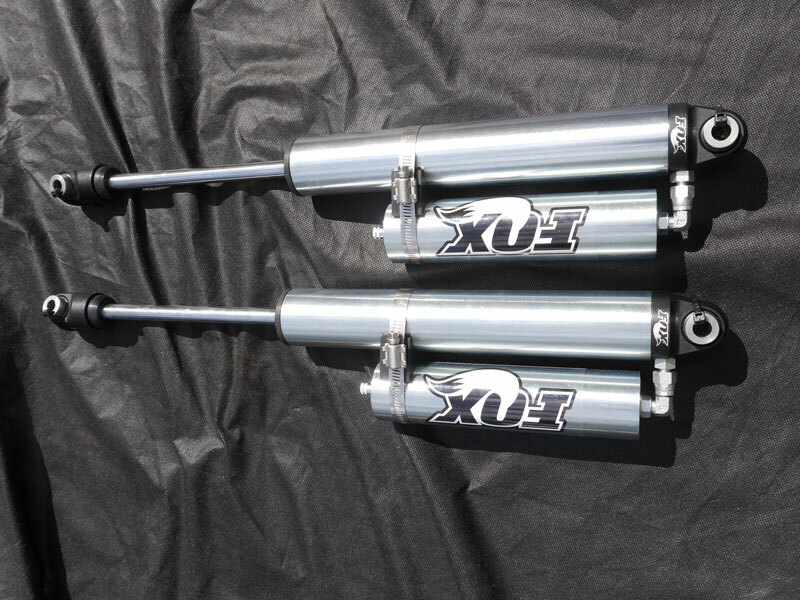 Whether you’re running a bone stock set-up, or modified arms and springs, these shocks will complement your suspension system. You will need a workshop manual for installation instructions—although our kit does include instructions pertaining to the adjustable spring perch and remote reservoir on the front shocks. 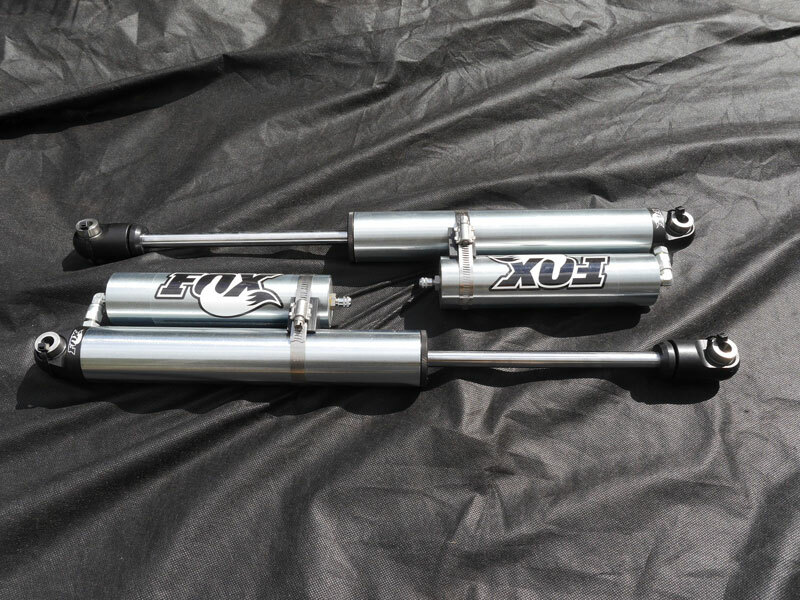 These shocks will work with any OEM or currently available aftermarket spring that is designed for the Syncro. However, because the front shock body is threaded and provides adjustable ride height, taller springs reduce the MINIMUM attainable ride height. For example, our 2″ lifting springs deliver a minimum front ride height of roughly 20.5″ (measured from the center of the front hub to the bottom of the wheel arch). We strongly suggest you only install zero-lift, standard height springs on the front of your Syncro. This way, you can set a low ride height—or a very tall ride height if you change your mind. • Front: When setting ride height, a minimum of 2″ of down travel is to be maintained at all times to prevent damage to the shock. 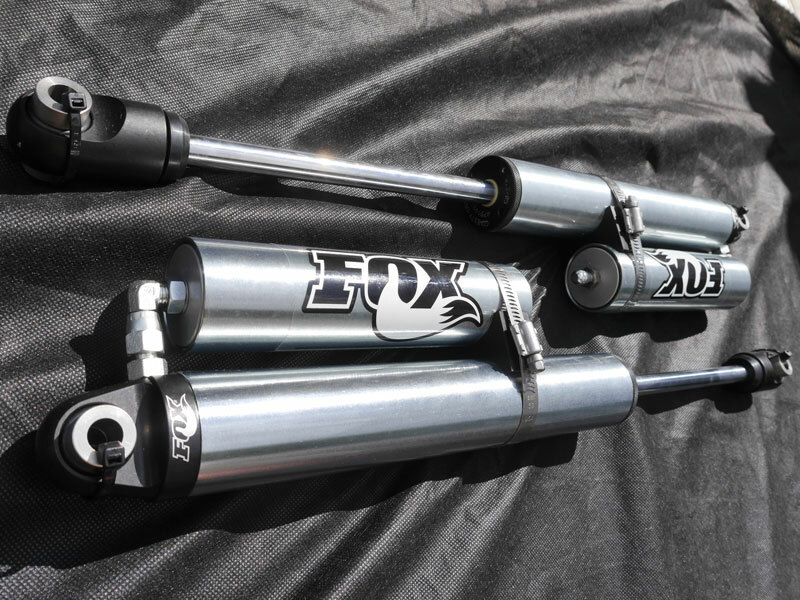 The mono-tube design of these Fox shocks allows an additional 1″ of suspension down travel without giving up any upward travel. • Front. When setting the ride height, a minimum of 2″ of down travel is to be maintained at all times to prevent damage to the shock. • Front: At full “droop” (wheel completely off the ground), you will notice that the upper ball joint portion of the suspension may come into contact with the spring. Other than the possibility of hearing a noise when your Syncro is completely airborne, this contact causes no issues whatsoever. A small amount of grinding on the suspension components to create clearance is possible, but it is NOT necessary. • Rear: At full “droop” (wheel completely off the ground), the drive axles are subject to a more severe angle. This may cause noise to occur, especially from a worn-out CV joint. Again, this noise is of no consequence. For extreme off-roading, we recommend upgrading to the larger 108mm CV joints. See related items below. These oversize front shock bodies will clear your 26mm OEM front axle shafts by 6mm. If you have aftermarket front axle shafts of a diameter larger than 37mm, they will NOT fit. This is all assuming that your lower control arm bushings are in good working order. If they are worn or damaged, the lower control arm can move forward and will decrease the available clearance. 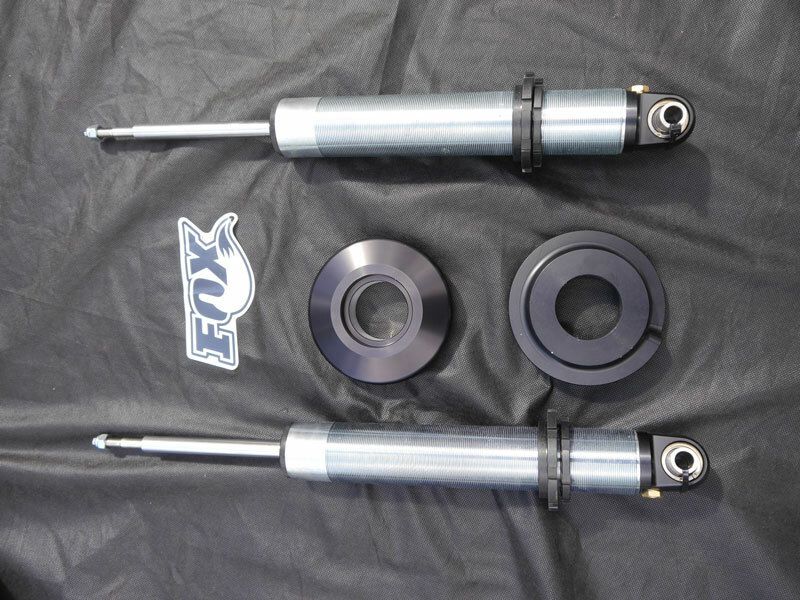 If you have assembled your front end and are having interference between the lower shock body and the front axle shaft, your axle shafts are non-OEM and too large, your lower control arm bushings are defective, your upper control arms are on backward, or some other front end component is damaged or incorrectly installed. 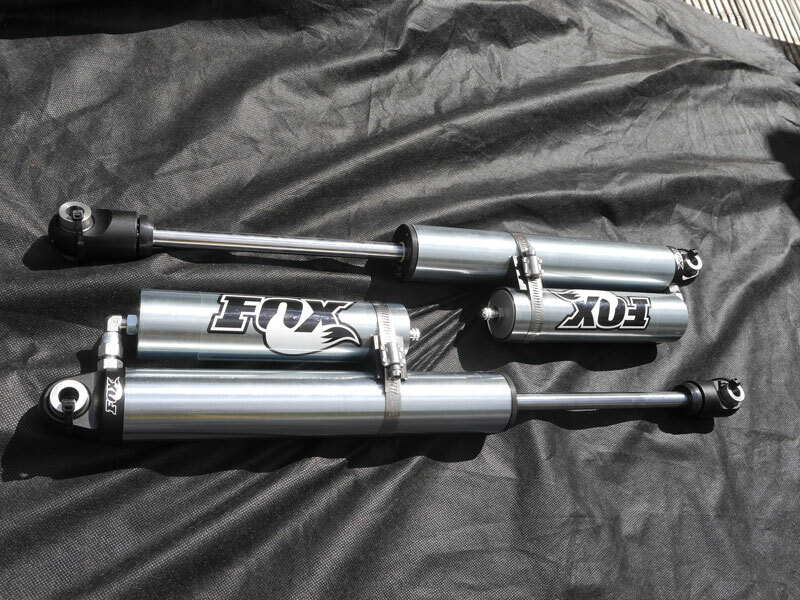 *Limited Lifetime Warranty: If one of these shocks fails internally, Fox will repair or replace the shock at their descretion, or GoWesty will exchange it with a rebuilt unit at no charge for as long as you own the shock (shipping and handling not included). Warranty does not cover product abuse, external damage, shop labor, or any additional expenses related to the replacement of the warranted part. A minimum of 2″ of down travel is to be maintained at all times.Warranty applies to the original purchaser only.